Sunday morning services are held at 10:30am. 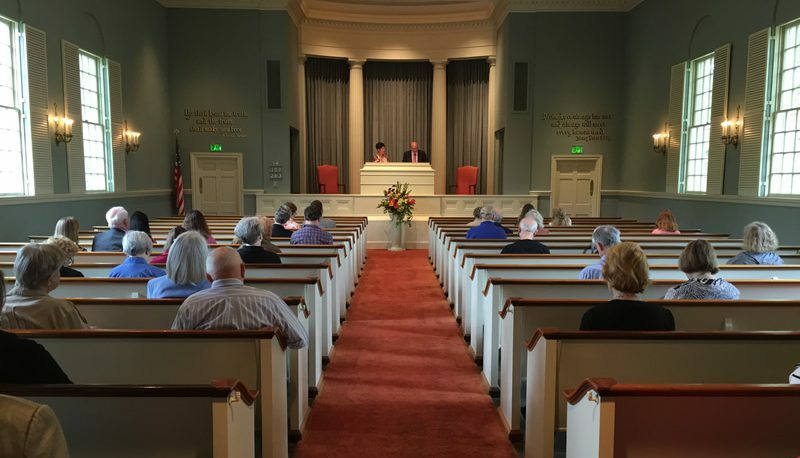 The Sunday Service includes readings from the Bible and the Christian Science textbook, Science and Health with Key to the Scriptures by Mary Baker Eddy. The Bible Lesson explains how everyday challenges such as health, employment, safety and relationships can be healed through prayer and a clearer understanding of God. As we praise God, listen, pray and sing there is spiritual uplift and expectation of healing for all. Childcare is available in our children’s room during all services for children too young to attend regular services or Sunday School.